Help is at hand if you’re interested in booking yourself or a group onto a WWI or WWII battlefield tour. At Rifleman Tours, we offer a range of battlefield experiences for history lovers, and you can get in touch with us at any point if you do have any queries about the services we provide or wish to place a booking. Our battlefield visits are designed to richly informative, thought-provoking and deeply emotional. We are eager to share our detailed historical knowledge with you and can cater for you if you require a personal service. Our guests come from all walks of life, and vary greatly in age. Musuem entry fees and lunches are covered by the price of the tour, and we can provide bespoke tours if you do have specific interests and needs. 2017 will see us running tours for the 100th anniversary of Vimy Ridge and Arras, Battle of Messines and the Battle of Passchendaele (Third Ypres). 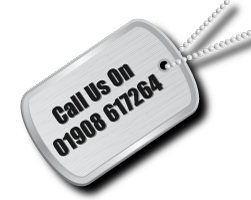 Why not drop us a line on 01908 617264 today to learn more? We always aim to beat your expectations and provide you with a day out you’ll never forget. Find out more today.